On the membership site we (taught by myself and Molly Crowley) have an introduction to the Bhagavad Gita Series that unpacks the idea of dharma. dHarm. In fact on the membership site right now, we are reading the Bhagavad Gita Bhug Vud Geeta chapter by chapter. We know that everybody has their own unique dharma (dHarm) in this world, their own skill in action, and that there is space for everybody to express their own unique gifts and so there is no need to be competitive. Each of us has our own role to play in the grand scheme of things and so we work not for ourselves, but for the welfare of all. Therefore, when you perform karma yoga you are performing all your work with a spirit of service. Recently my daughter Trinity met Sofia and her Mom and was really taken by their relationship and how Sofia’s Mom started sewing scrubs for kids with leukemia so that they could be more comfortable while they are in the hospital receiving treatments. To me this is a perfect example of somebody living their dharma. (dHarm) She was responding to the needs of one of her closest relationships and making a difference in the world to something that had impacted her directly. 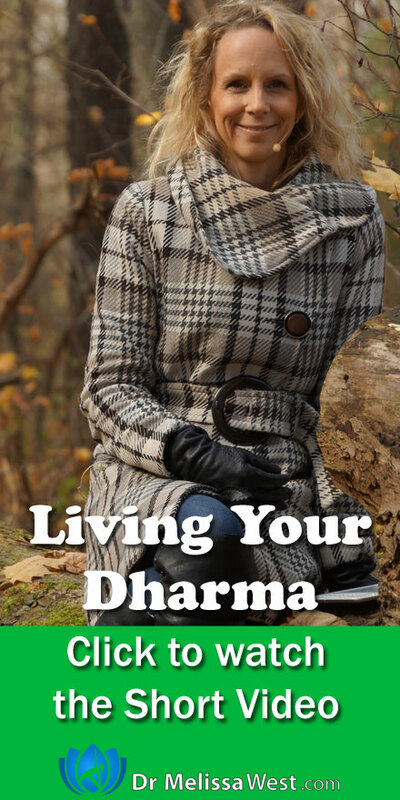 I told Trinity I would share her story with all of you as an example of living your dharma. (dHarm).